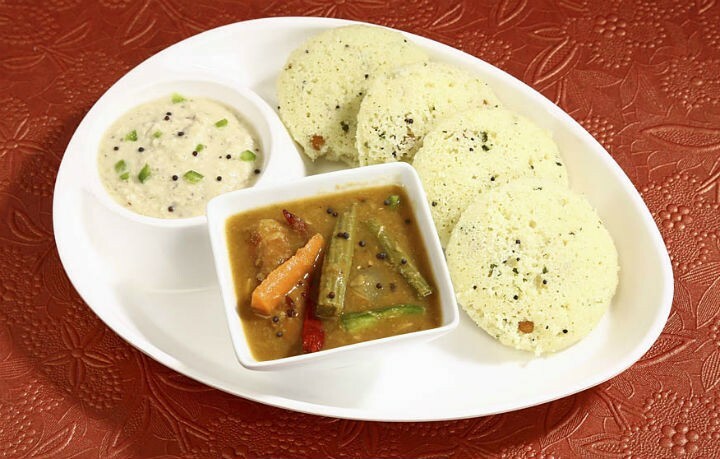 Kancheepuram Idli is a well known variety of Idli from the silk town of Kanchipuram. Our Millet Kanchipuram Idli recipe uses millets instead of regular rice, hence, upping the health quotient. Kacnhipuram Idli is very different in taste from the regular idli. Served as prasadam in the auspicious Varadaraja Perumal temple in Kanchipuram, the idli is traditionally made using mandharai leaves or banana leaves. Spiced with peppercorns, jeera and asafotida, this takes care of the digestion as they are slightly denser and heavier than the regular idli. 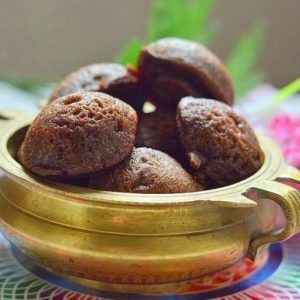 Substituting Millets (Varagu Arisi) for rice makes this Millet Kanchipuram Idli a healthier version. It is higher in whole grains, fibre and micro nutrients and best served with spicy tomato chutney or Idli podi. 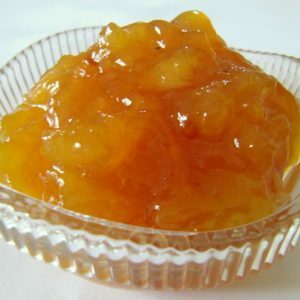 Any other chutney or sambar will also do. If you don’t have the aforesaid leaves, you can use the regular idli plates or ever small sized tumblers as mould. 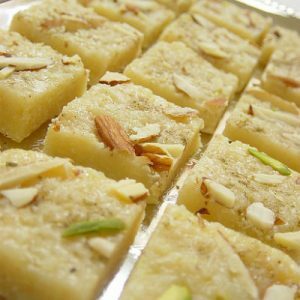 An alternate way is to spread the batter on a plate and steam cook it, resembling the Dhokla. To get soft and fluffy batter, grind the Urad Dal and Varagu Arisi separately. Let us know how it turned out & in the meantime, do enjoy the Millet Kanchipuram Idli for a hearty breakfast or dinner. 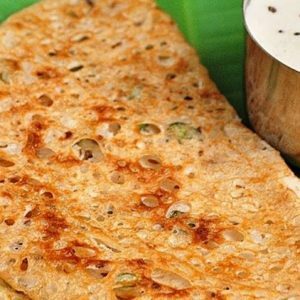 Also check out some of our other Millet based recipes: Millet Adai, Thinai Idli, or Ragi Sweet Dosa. This is a traditional prasadam offered in the Varadharaja Perumal Temple at Kancheepuram, spiced with pepper, cumin and dried ginger. Wash the Millets and urad dhal well and soak them in water, separately. Add fenugreek seeds and soak it for minimum 3 hours or overnight. Drain the excess water and grind them to a coarse paste. 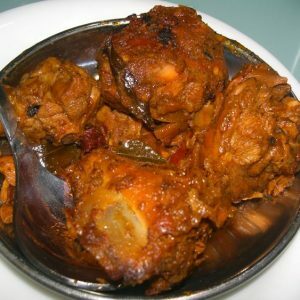 Mix salt, asafoetida, dry ginger powder and mix well. Allow it to rest it for 3 hours. Before making the idlies, heat a pan under medium flame with little oil. Temper with black pepper (Crushed), cumin seeds, asafoetida and curry leaves. Pour it over the batter and mix well. Take small tumblers and place banana leaf inside it. 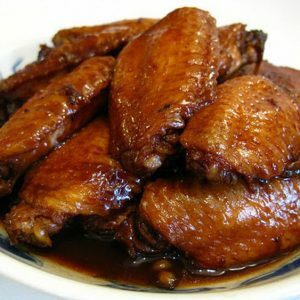 Grease with little oil and pour the prepared batter. Steam cook for about half an hour under medium or low flame. 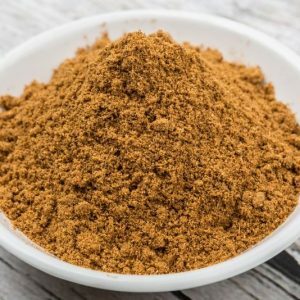 Transfer the content to a plate and serve hot with idly milagai podi for best taste. 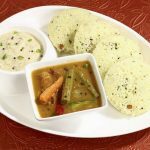 Feel free to comment or share your thoughts on this Millet Kanchipuram Idli Recipe from Awesome Cuisine.